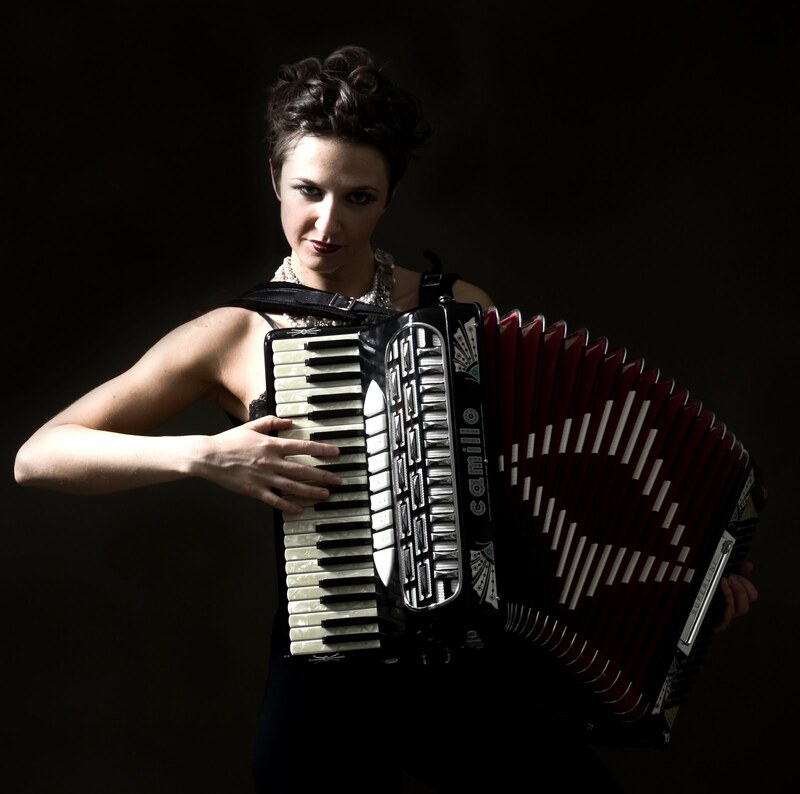 MISS NATASHA ENQUIST: ELECTRO-ACCORDION CHANTEUSE: Room to SQUEEZE! Did you know an Accordionist needs their space? 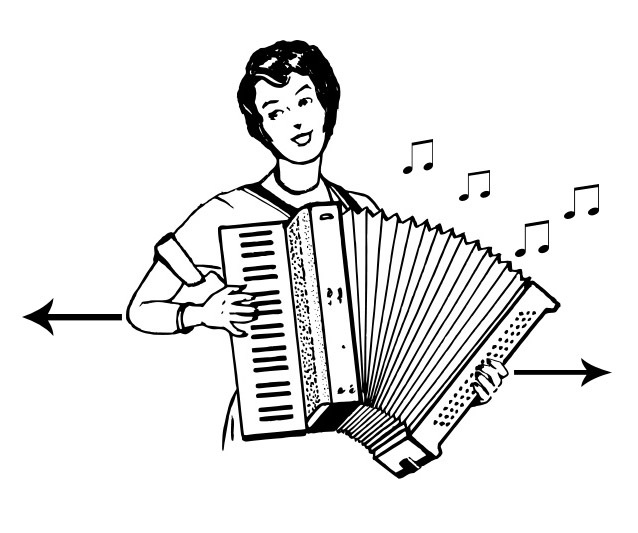 Well it's true for me, for my mental health and happiness, but also as an accordion player you need almost a full arms length of space to be able to play. 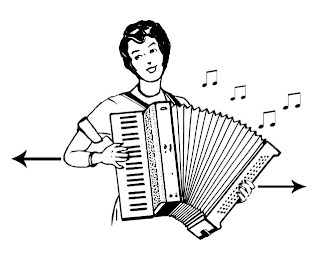 Out goes the dinner table manners of keeping your elbows off the table and inwards to the body, while holding your utensils: accordion players must practice the etiquette of spreading their elbows out far and wide! This is also for optimal control while playing - the right elbow should be out straight allowing your forearm to glide up and down the keyboard, pivoting from your elbow - taking away any potential stress to your wrist. So with that, you play with your fingers, but your arm has full control of where your hand moves. On the left side your bellows are opening and closing, taking up space - loud, reedy, harmonic space! So the next time you see an accordion player, respect their space and give them plenty of squeezing room! If you touch my accordion, I will bite you. The impulse to remove ones fingers comes from many interactions with drunken 'fans' getting too 'close' - if you know what I 'mean'. Biting has been the most common reaction in most Accordionists whose instruments get man-handled. Feeling frisky and bold is a common mistake in the average party-goer, but let me remind you that no musician is happy when you touch their instrument without permission. Our instruments are an extension of our bodies, and no one wants to be poked with sticky fingers (or do they?). The best way to avoid finger removal is to politely ask "You're so incredibly talented and your playing has changed my life, may I polish your accordion so you can see your beautiful face in it?" I did it, I finally finally finally DID IT. 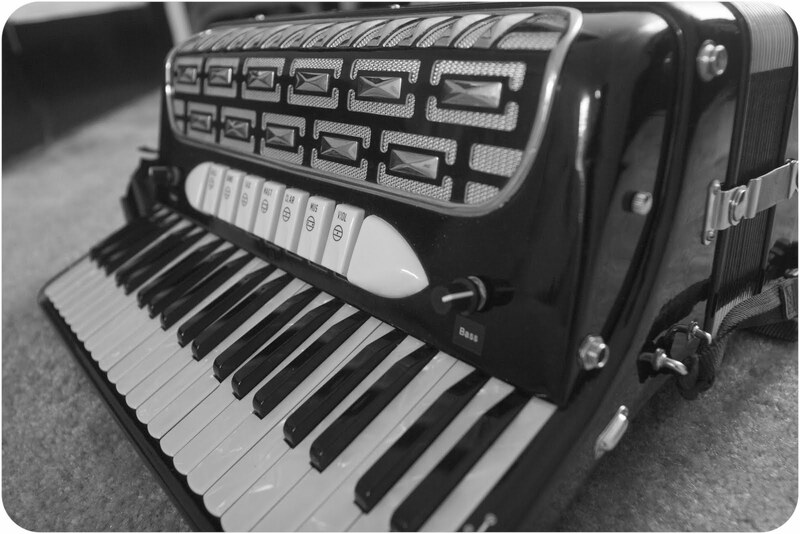 I got mics installed in to my Guerrini accordion! This is a HUGE deal for me, you have no idea how many years I have been waiting for this, how many gigs I've done with incorrect amplification, how many clip-on mics I've borrowed and been somewhat pleased with, and how hard I've had to pump my bellows at a condenser mic. 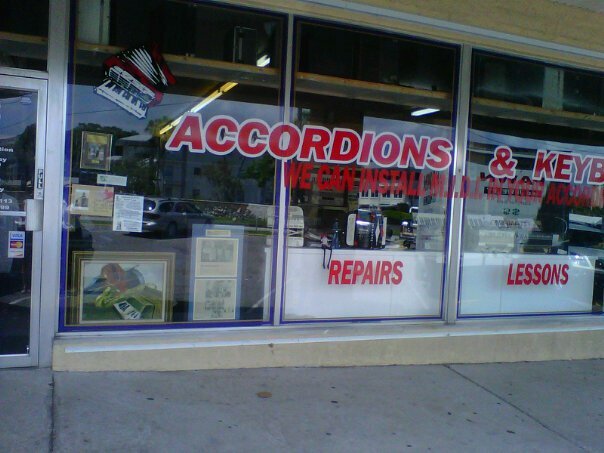 I had the installation done at Accordions & Keyboards, in Clearwater FL, and had a nice time meeting with the owner, John Gaunt.